Educating consumers, professionals and entrepreneurs through coffee. 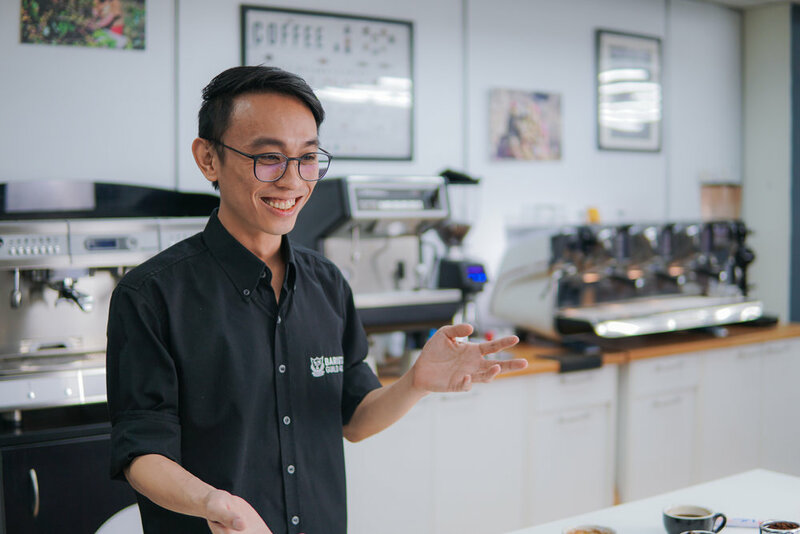 Barista Guild Asia offers a holistic educational experience in barista training, having taught over 1500 students and aided the start of over 260 cafés in Malaysia within the last five years. We are proud to offer a range of classes that cater to a variety of needs, from calibrating your taste buds, operating commercial machines to learning costing for management. No matter what age category or background you belong to, you are bound to find a program that will heighten your knowledge, skills, experience and capacity. Malaysia Open Latte Art Championship & Malaysia Open Barista Championship 2018 registrations are now OPEN! Mobile Coffee Services & Workshops. Corporate functions, conference meetings, product launches, Ramahdan bazaars, open houses - wherever you need a good cup of coffee, The Extract by Barista Guild Asia will be delighted to serve you there. Come speak to us about setting up at your event or customizing a beverage, and indulge your guests with the perfect cup. Ramahdan promotions are now available for the whole month of June. We promise not to spam! Subscribe to stay up to date with our classes and exclusive events with our monthly newsletters! Thank you for subscribing! We promise not to spam. Copyright © 2018 Barista Guild Asia Sdn. Bhd.